Proper bedding for horses is extremely important. Their health and performance depends on them having the proper amount of rest. Studies have shown that sleep can be divided into 2 stages, Slow Wave Seep (SWS) and Paradoxial Sleep (PS) . Horses normally fall asleep while standing up and they enter SWS during which the muscles gradually relax. If the horse is feeling comfortable in its environment it will lie down and drift further into SWS with further relaxation of the muscles. The horse may then lie down flat to enter PS where the muscles are totally relaxed, that is, there is virtually no muscle tone. An important point about sleep cycles is that the horse must lie down flat to complete a sleeping cycle that includes PS. If a horse cannot, or chooses not to lie down then it can rest in SWS but cannot achieve the total relaxation of PS. Paradoxial sleep is sometimes termed the sleep of the body because of the general muscular relaxation. SWS is known as the sleep of the mind. And so with that in mind I started researching the different types of bedding for horses. Here are the various types of horse bedding I have found. Straw bedding especially wheat straw was used in virtually every stable some fifty years ago. Horses were mainly kept for hunting, competitions or belonged to riding schools. Some horses had "hay coughs",now called Chronic obstructive pulmonary disease and since the majority of horses were looked after by professional grooms, COPD meant nothing to the average horse owner. Today's the situation is so different. The growing trend to keep equines as pets and not only as work animals has spurred a growing trend to find new types of bedding.
? If clean and dust free, it makes an excellent bed.
? horses often eat straw bedding. Findings from other studies have shown that when given the choice of straw or wood shavings as a bedding type, horses spend more time on straw. The use of beddings other than straw may increase the risk of abnormal behaviours such as weaving. Both straw and wood shavings are economical and easy to obtain. Straw is generally warmer bedding than shavings because it traps air.
? Heavier to load and muck than straw, shavings or wood chips.
? Horses with respiratory problems should not use this type of bedding. Peat moss has countless tiny air-filled cells that provide a comfortable cushion under the horses foot, making it a bedding recommended by veterinarians for convalescing horse's with severe foot problems. It naturally neutralizes, not covers up, but organically neutralizes, ammonia fumes. Veterinarians have long recommended peat as a beneficial alternative stall bedding for horses suffering from COPD, commonly known as "heaves". Peat moss has long been recognized as one of the most effective natural filtration materials found in nature. The natural beneficial microbes, and the material's outstanding absorbency trap and contain harmful urine and ammonia fumes.
? Counters the build up of stall ammonia.
? No further need of special stall deodorizers.
? Requires less storage space.
? All natural ? there few chemicals used to grow the hemp stalk and no chemicals used during processing.
? Difficulty in locating local sellers. Newsprint bedding is shredded newspaper/cardboard. It is ecologically conservative and very absorbent.
? Light weight can make the muck heap prone to blow around the yard in windy weather.
? Some pellets clump so it?s easy to clean.
? Requires about 1/3rd the space of a traditional flake shaving bale.
? Comfortable, shock absorbing, and aesthetically pleasing.
? Extra traction helps to reduce the risk of injury in the stable.
? Reduces the quantity of bedding required.
? Different brands and differences in cost and quality.
? Good buffer between the horse and the floor.
? Extra cushioning alleviates pressure and stress of hock and knees. A good friend of mine uses the ComfortStall? System for her 2 box stalls. It is true that she goes a little overboard (to say the least) when it comes to caring for her horses. They not only have the Comfortstall? system for the floor of their box stalls but peat moss as bedding. To me this is the best type of sleep arrangement for any horse. By the way, the matting for the 2 stalls cost a total of 1500 $ cdn including installation. Having lived all of my life in a big city, moving to a horse ranch in the country was a dream come true. Far from the hustle and bustle to the peaceful life with horses. I love the new life I have here in St. Lazare, Quebec. Besides taking care of 9 horses, 2 crazy dogs, a pig...and lets not forget the cats. 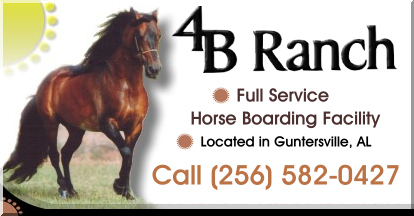 I am continuously updating with information for the novice horse rider and the new horse ranch owner. Lots of horsekeeping tips, and information on managing your horse boarding stable.